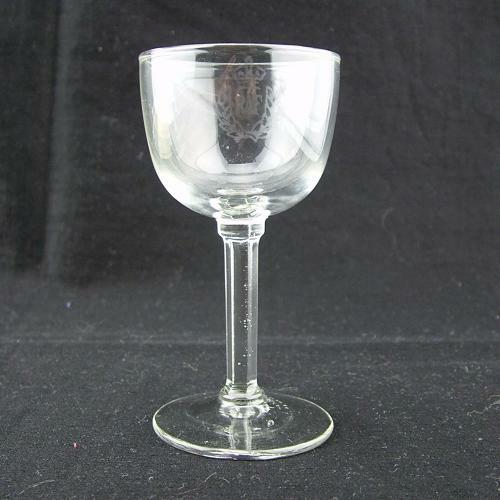 Elegant spirit or sherry glasses approximately 10cm tall. Acid etched King's crown Royal Air Force crest on the side of the bowl. Two available, both in good condition. Hairline crack in the foot of one but not obvious. Photographs show the one with the crack (C23087). Priced individually. Stock code C23086/7.